We got em! 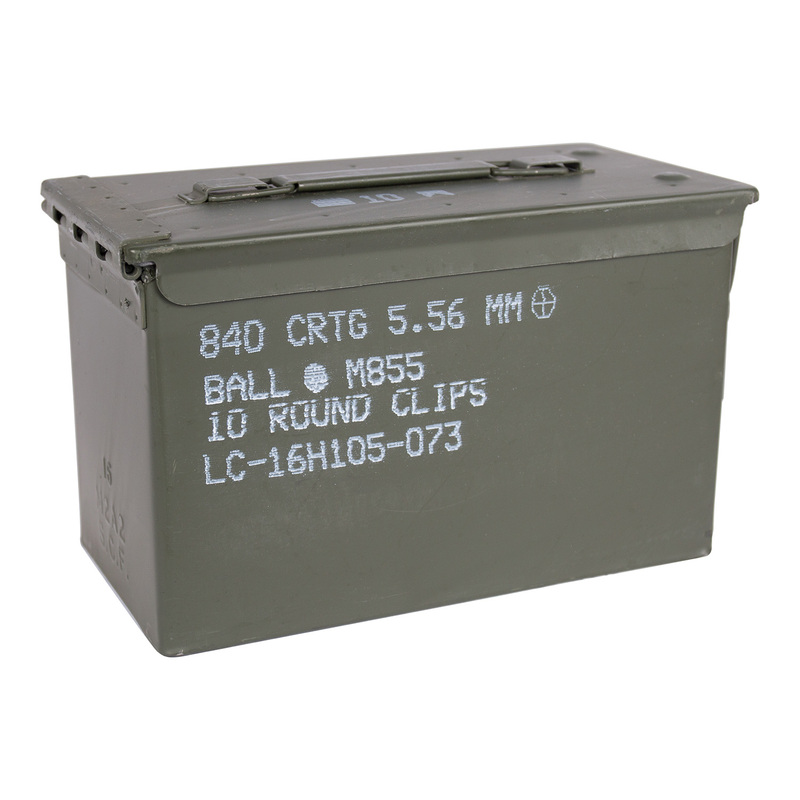 These are the elusive Lake City M2A2 Mil-Spec 50 cal size 5.56 ammo cans currently in use by the US Government. The M2A2 cans are still pretty rare since they haven't fully worked their way through to the military surplus market, and aren't widely available to the commercial market yet. 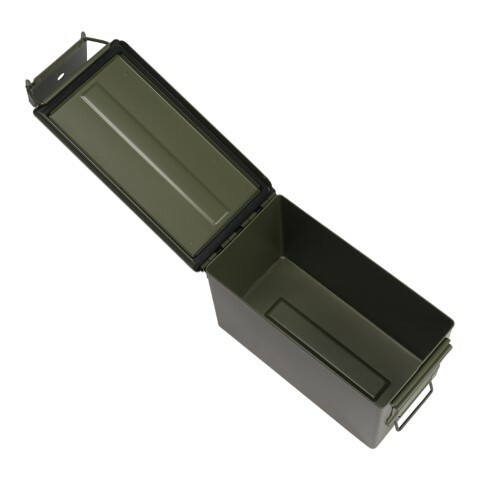 The commercial Lake City ammo is still shipping in M2A1 ammo cans as far as we can tell. 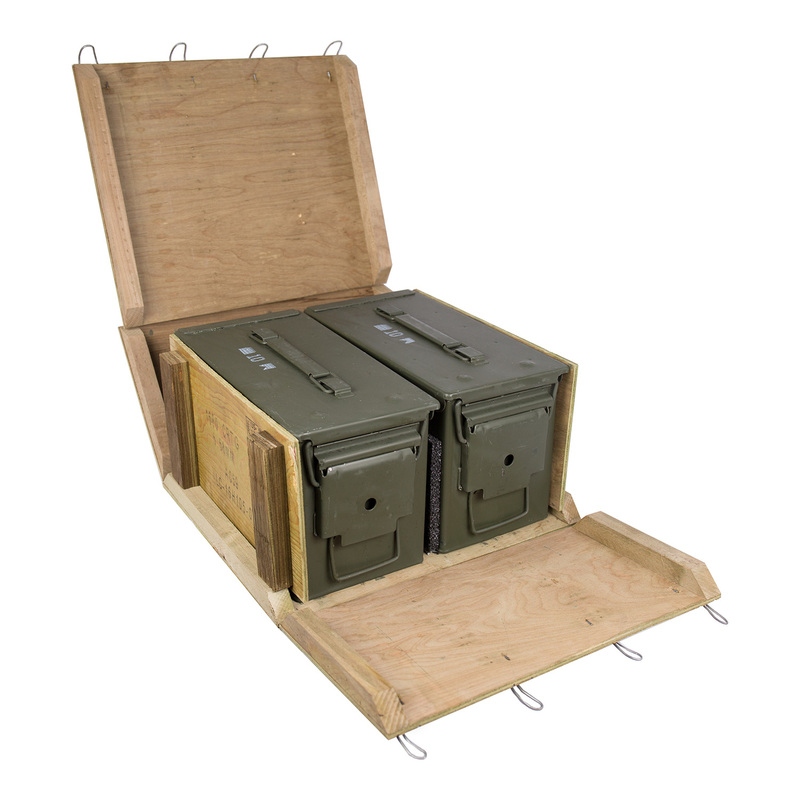 We are one of a handful of sources for M2A2 ammo cans, but are the only source for M2A2 ammo cans in the original, numbers matching ammo crates. So what's the difference between M2A1 and M2A2? 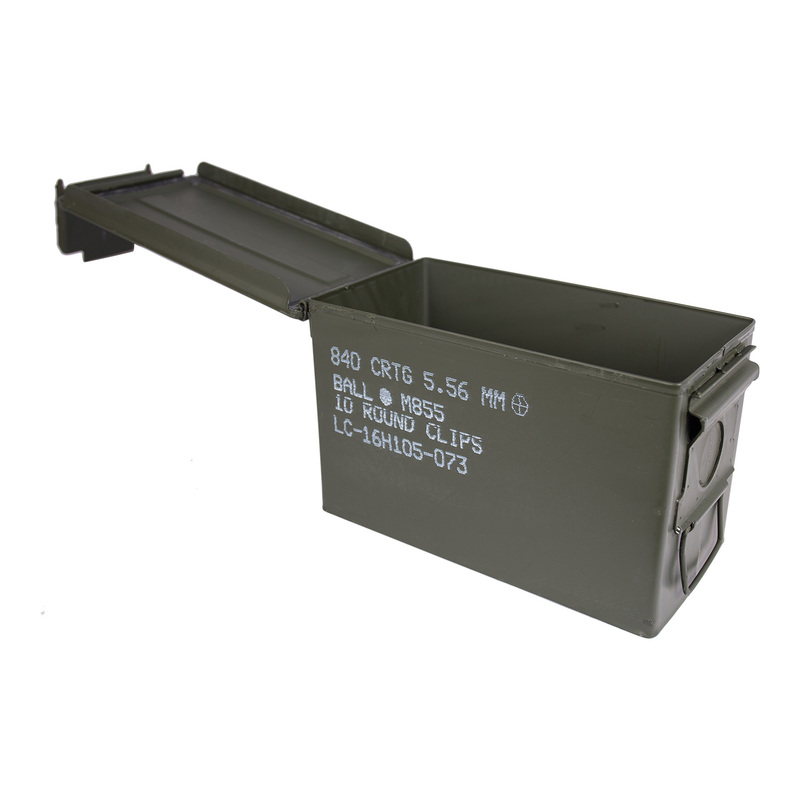 The upgraded M2A2 ammo cans have a metal tab on the latch bracket to prevent the rubber seal in the lid of the can from getting crushed if the cans are stacked (without being inside a crate). One of the issues with the M2A1 ammo cans, was the tendency for the seals to get distorted when multiple ammo filled cans were stacked. Since the seal is in the lid of the can, the seal had to support all the weight of the cans on top of it, and over time would distort, compromising the waterproof nature of the can and the can's contents. The M2A2 is designed to distribute the weight of stacked objects into the body of the can and preserve the integrity of the rubber seal. 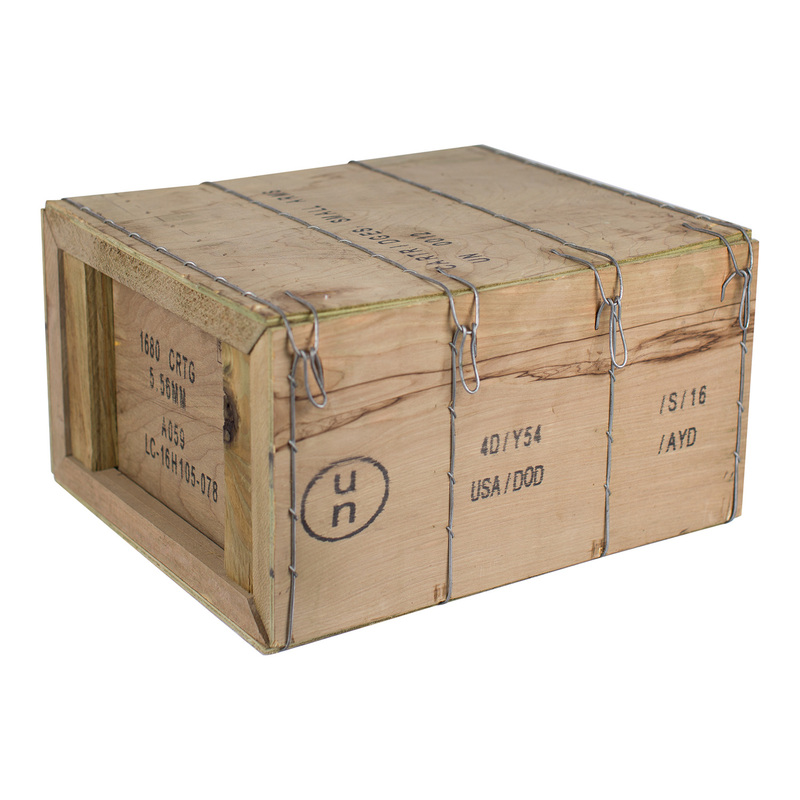 Our M2A2 ammo cans still the same high quality, "once-opened" cans you are used and still ship in the original wood ammo crate. 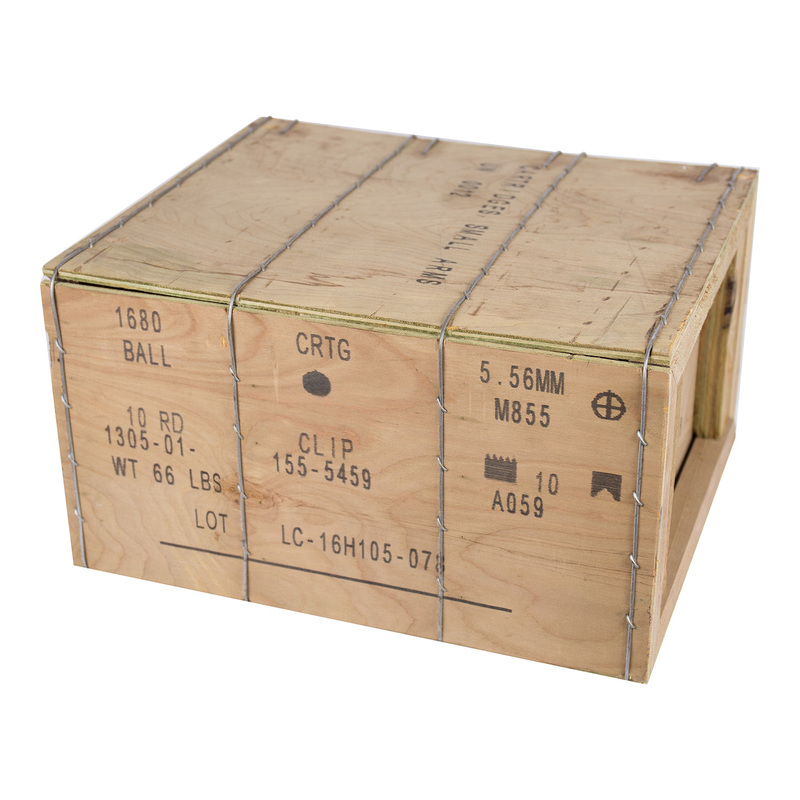 Each crate of ammo cans includes two cans, and is individually packaged in a cardboard box to allow discreet delivery and prevent damage to the exterior of the ammunition crate during shipping. 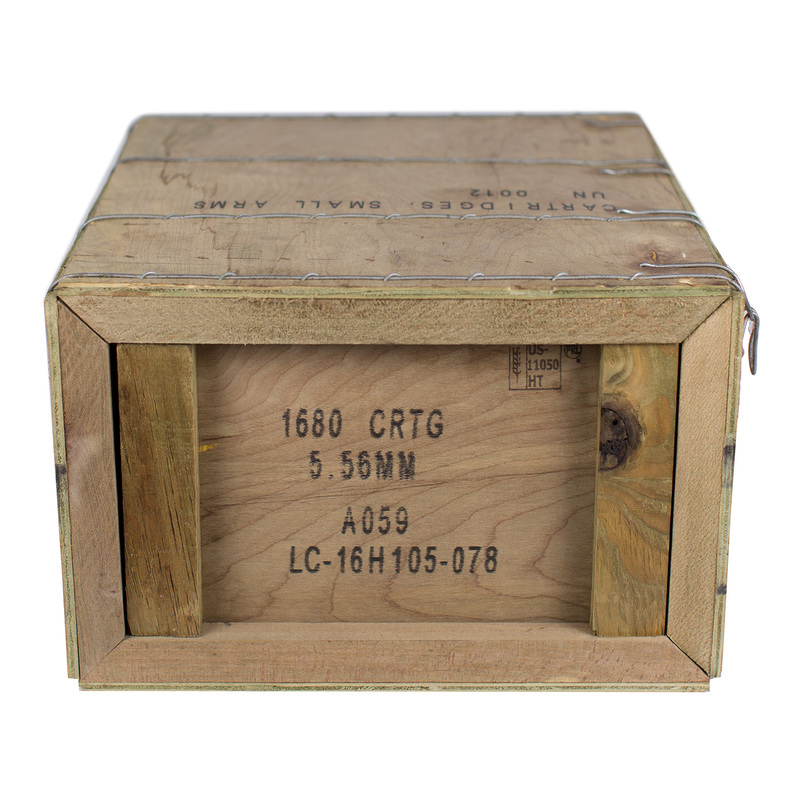 The current M2A2 ammo crates are made of treated wood with stenciled military markings on the exterior. 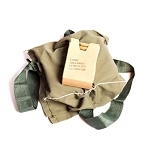 The ammo cans themselves are labeled for 840rds of M855 5.56mm ammunition in digital white lettering. Some of the ammo cans may have scuffs from jostling around inside the crate during shipping, but otherwise are in like new condition! The famous yellow stenciled lettering has been discontinued. Once the current availability of the beloved yellow stenciled cans are gone, thats it. We still have a few pallets of those cans available. If you would like the yellow lettered cans, please refer to the M2A1 ammo can listing. Ammo Crate Exterior Dimensions: 14-1/2" x 8" x 12-1/2"
This is where i do all my shopping for ammo cans. M2A2 cans Great for stacking. M2A1 cans also great for loading all sorts of !@#$%^&*. Super Clean! Always a pleasure to do business w/our veterans. Thank you for your service!